I have developed a complete cloud solution that provide us the ability to precisely (+/- 1 frame) cut a live stream and publish those segments as a V.O.D. highlight without stop the live stream. In the following figure we can see that the core of the service runs into a server located “in the cloud”, to be more precise into a EC2 machine from AWS. 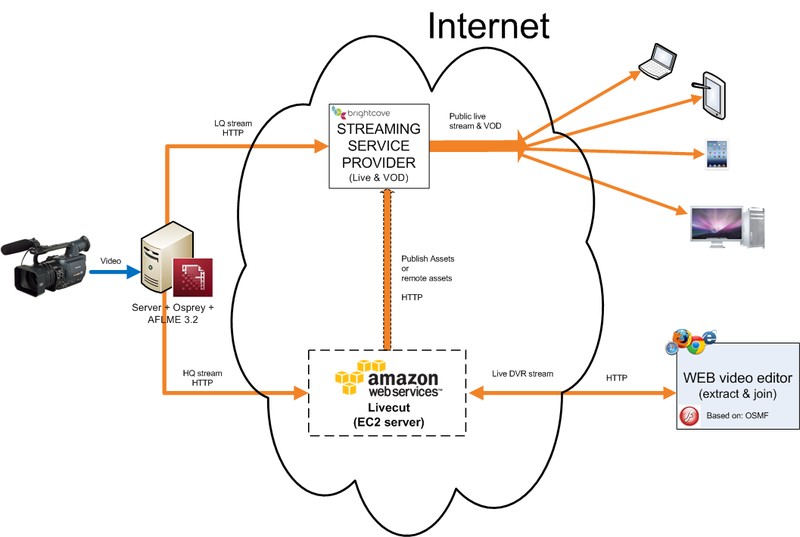 In the figure 2 we can see that the different “services” that runs into a Livecut server. I want to point out that the cyan blocks means self developed software modules. The video essence of the source stream must be H264 baseline/main, and the audio essence must be AAC. 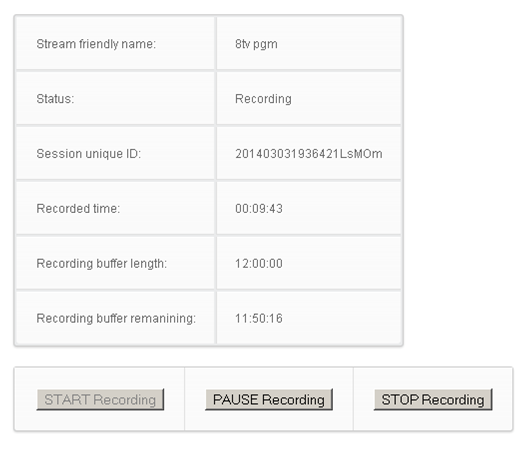 It has been deeply tested with AFME 3.2 (free solution for Windows & OSX from Adobe) as a streaming source source. 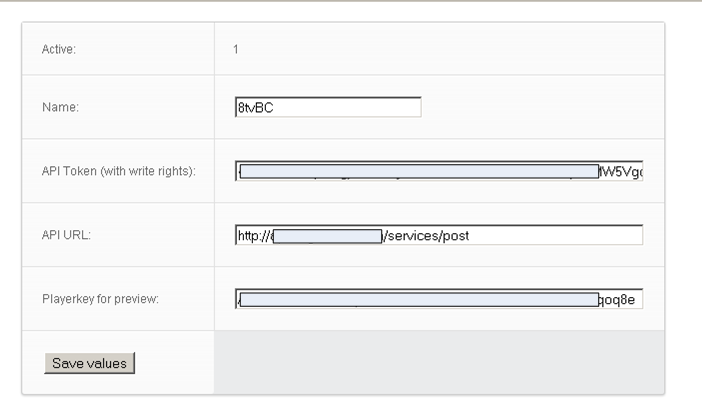 Publishing time computed using the AWS smallest machine (m1.small). It can be much faster if we use a faster server.